Your Stress free solution for your hauling and removal needs! S & J Junk Hauling and Removal is your premier choice for residential and commercial Junk Removal & Recycling solutions for your unwanted items. 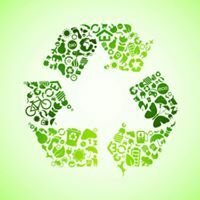 It’s our belief less is better in our local landfills, by donating your usable items to your charity of choice or one of our local donation centers we think has a positive impact on both our community and our environment. At S & J Junk Hauling and Removal, there is no job to big or small. Our 100% customer satisfaction starts with our competitive quote through the project completion. S&J Junk Hauling and Removal is locally owned and family operated. Same day service and affordable pricing. Whether you’re cleaning up your house, your office, or job site we’re here to help you clean up and haul your junk away. Do you need a structure cleared of all unwanted debris? S&J Junk Hauling and Removal team is here for you. We take all of the guess work out of a stressful situation. Sit back and relax we will do the loading! Old Mattress? We will be happy to haul and dispose of it. No need to move it to the road or the drive way, we will come inside your home and move it down stairs or straight out the door. Leave the hard work to our team! Do you have an old hot tub taking up space on your patio or deck? Don’t worry we can fix that problem! Our team can come in and remove hot tubes from anywhere on your property. Whether your a real estate agent, own rental homes or a real estate investor you know all to well what you can find when you walk into a “vacant house”. Our team at S&J can be your saving grace! Turning your stressful situation into something manageable. Within a day or two your rental is back on the market, constuction ready or ready to close. We know how it is, our team is on your side! Whether your moving and bought new furniture or you have a furniture collection that has taken over your garage, the S&J team can help! Leave all the heavy lifting and maneuvering to us! The local donation centers love us! Giving your old furniture a new life with a new family! S & J Junk Hauling and Removal will remove your old appliances from anywhere on your property and ensure that they are properly recycled and disposed of in accordance with local and federal guidelines. Job sites can get out of hand in a hurry! Don’t worry, keep your employees working and let us come in and do the dirty work. Our team can have your job site spotless within a few hours time. Whether your remodeling your basement or running a huge job site. Job site garbage is all reusable and recyclable! When it comes to junk removal, you can count on S & J Junk Hauling and Removal. Contact us today for your free quote today! We look forward to hearing from you! Called on a Sunday, got called back on a Sunday. Guaranteed by Monday afternoon. Came home to find Everything gone. Added a few items not discussed. But added a few extra bucks & they removed Everything. Very pleased with the overall interaction. This company is awesome. We had a huge clean up, several out buildings and lots of old lumber and they did an excellent job. I highly recommend them. Took away my hot tub and left a clean job…really great and fast..
Really impressed with how quick and thorough they were at removing a junk pile from my back yard. Very professional. S&J was great! Next day pickup as requested and on time! Wish i could have been there to meet & grett them… maybe next time! We are beyond happy with the service we got from this company. the two guys and a girl are very professional and friendly. We happened to get lucky when we called and they were here in 15 mins to take our old couch and loveseat! We will definitely use these guys again in the near future! Thanks for the great service! !